Excellent. It looks great Sue! Congratulations to you, Andrew and Anthony. Looking forward to reading it. A pity it’s not more affordable, as it’s such an important book. I’ll have to start saving up. 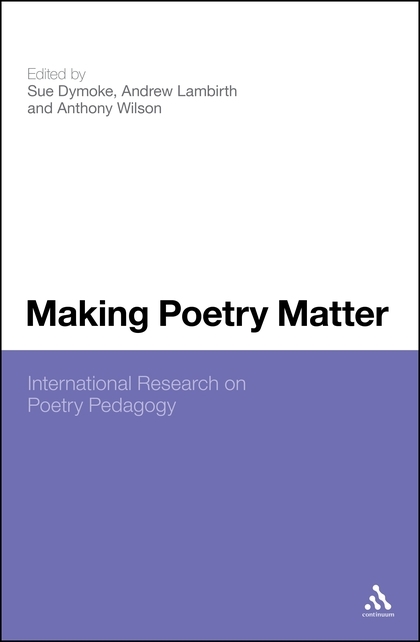 There will be a paperback copy released with the publication of Making Poetry Happen in late 2014. Until then why not order it from your library? Right – 2014 the paperback, and meantime the library. Thanks Sue! This entry was posted on May 23, 2013 by Sue Dymoke.